If you want to be fashionable and style-savvy, then the Echo Look is worth a look. Sometimes the simple task of getting ready in the morning can be daunting. You may wonder what to wear, or if you manage to put together an outfit, wonder if it actually looks good on you. And if your appearance has recently changed in some way (i.e. your weight has recently changed) you might have an even harder time finding the right outfit. 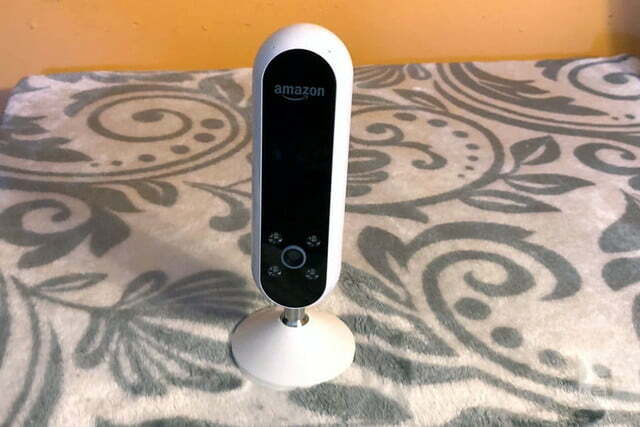 If all of this sounds familiar, then Amazon’s Echo Look ($199) is right up your alley. On the surface, it’s an Echo device with a built-in camera. But, it also acts as a style assistant, a confidence booster, and so much more. Obviously, the Echo Look isn’t for everyone. If you’re the type who’s perfectly happy lounging around in a pair of gym shorts and a T-shirt most days, the Look probably doesn’t have much to offer you. But, if you’re someone who wants to look your best and you love shopping for clothes, then you’ll probably appreciate this device. We got a chance to take it for a test run. Here’s how it went. The Echo Look is a small tubular device that’s about five inches long and about 1.5 inches in diameter. It comes with a base, so you can place it on a dresser or flat surface. It also comes with a mounting kit, so you can attach it to a wall. To assemble the device, all you need to do is screw in the base, connect the power cord, and then plug it into the wall outlet. With its built-in LED lighting and five-megapixel sensor, the photo quality is excellent, and the camera doesn’t lie. 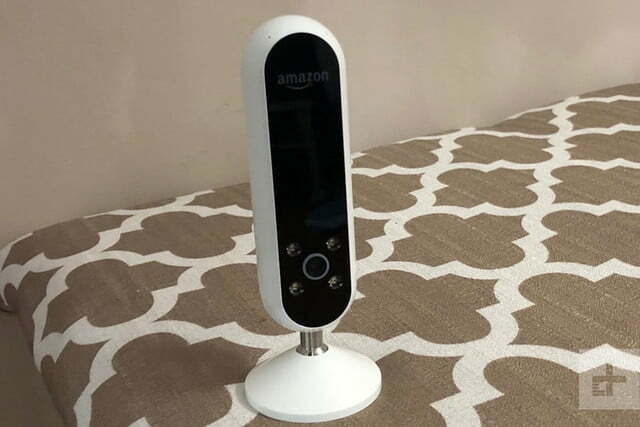 Amazon recommends placing your Echo Look at shoulder height leaning slightly downward to get the best pictures. You also want to place your Echo Look in a well-lit area, preferably with the light source coming from behind you. This makes for the best pictures. You set up your Echo Look through the Echo Look app. You’ll need iOS 10.0 or later or Android 5.0 or later to download the app. The process is painless: simply choose to add a new device, and then connect to your Wi-Fi network. When you take a selfie with your smart phone, it doesn’t always capture a true image of how you look. Your phone camera might take the picture at an angle that makes you look wider, for instance. The Echo Look, on the other hand, really does capture an honest image of you. With its built-in LED lighting and five-megapixel sensor, the photo quality is excellent, and the camera doesn’t lie. It has depth-sensing and computer vision-based background blur to make you pop, while the background is out of focus. You can adjust these settings in the app too. You can adjust the pop, brightness, contrast, warmth, and saturation in each of your pictures via the app. Don’t want to take a picture? You can just stand in front of the Echo Look and see yourself (and that great new sweater you just bought) on your device. You can turn around and stand sideways, and the projection will show on your phone or tablet screen. You can also take a six-second video of yourself turning, so you can see yourself at all angles. Wondering if that outfit really looks good on you? 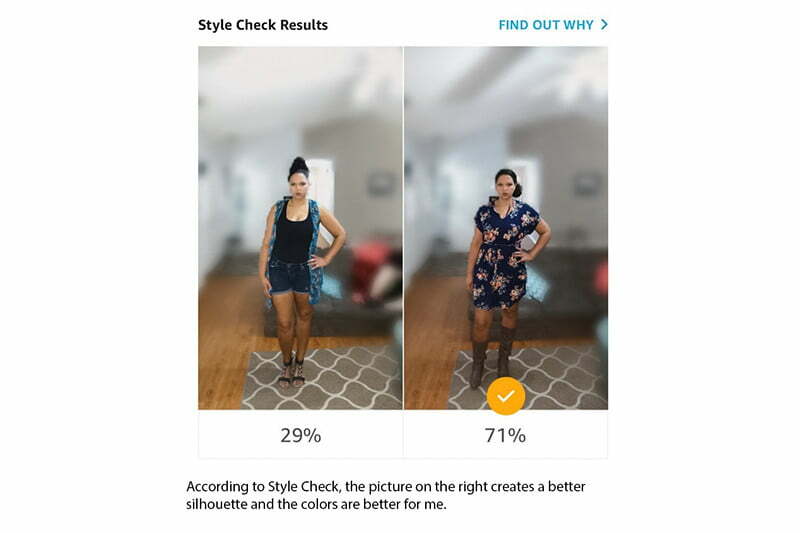 Style check combines machine learning algorithms with advice from fashion gurus to give you a second opinion on what looks better on you and why. 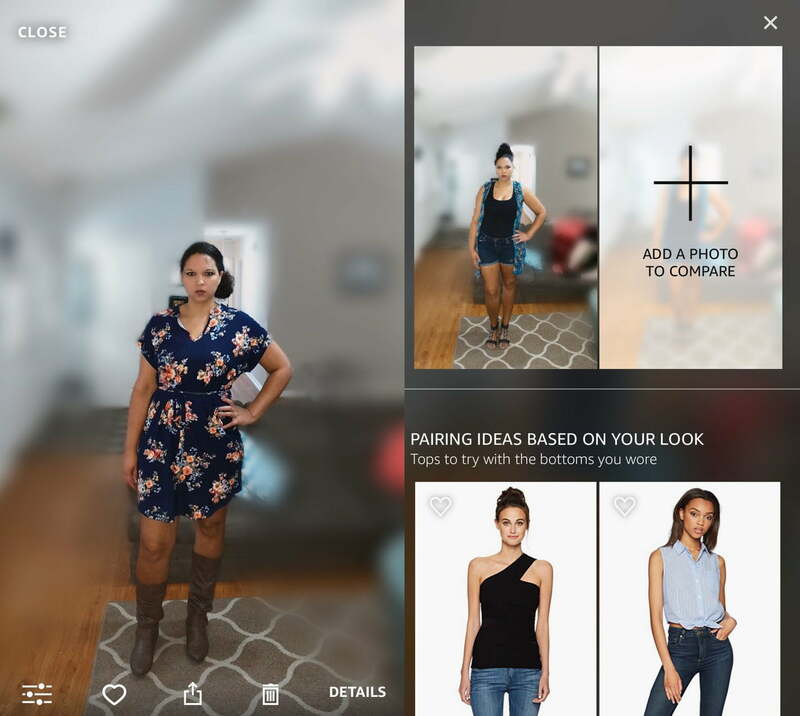 If you submit two pictures to style check, the app will notify you with your results within about a minute. You’ll get a percentage under each picture indicating how favorable each look is, plus an explanation for the percentages. For instance, style check may give one outfit 75 percent and the other 25 percent and explain that the 75 percent outfit is a better fit and shape for your body. If you opt in, you can choose to share your pictures with Amazon, so they can offer you pairing suggestions. You can choose to share none of your pictures, some of your pictures, or all your pictures. You have complete control over the pictures your share. If you choose to get pairing suggestions, Amazon will show you different types of pants and tops you can buy on Amazon that go with the clothes you currently own. Pairing suggestions are helpful for finding new outfit combinations. You don’t always have to purchase new clothing, as you may already have a clothing item in your closet that’s similar to the item Amazon is suggesting. Over time, your photos build up in the app. The app calls this a “Look Book.” You can go into your Look Book and see exactly what outfit you wore on a specific day. It’s neat because you can find out how frequently you wear certain colors or certain styles. The collections feature is another cool feature, as it digitally organizes your closet over time. As you take photos with your Echo Look, the collections feature organizes by color, season, or by a custom category you create. In addition to having a style assistant and a virtual assistant, you can also check on your kids or pets who are in the room. The Echo Look is also fully Alexa voice-assistant enabled. 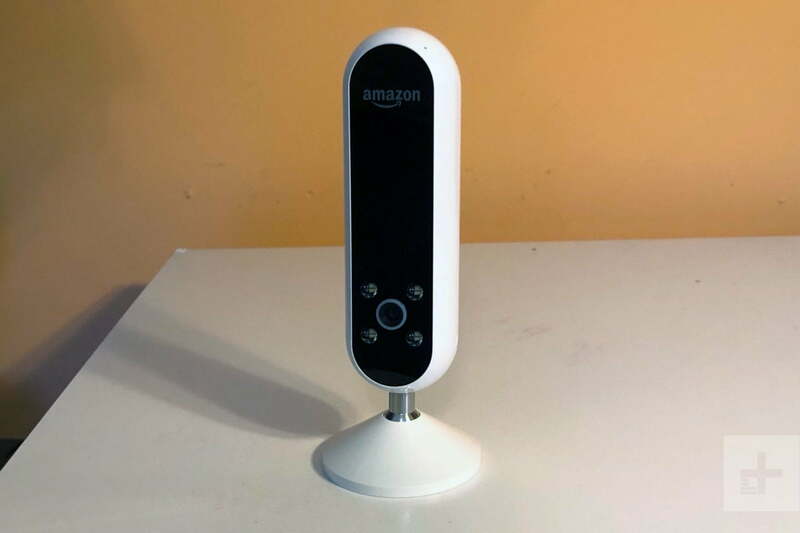 Just like with an Echo Dot, you can play games, connect to your smart devices, and do most of the things the other Amazon Alexa devices can do. One downside is that the sound quality could be better on the Echo Look. When you sit it right next to a Google Home or even a Google Home Mini, both Google Home speakers have superior sound quality over the Echo Look. The device also has home monitoring uses. You can see into the room where your Echo Look is located by going into the app and clicking on the camera. This will give you a live view of that room. You can also snap a photo or six-second video of the room. This means that, in addition to having a style assistant and a virtual assistant, you can also check on your kids or pets who are in the room. 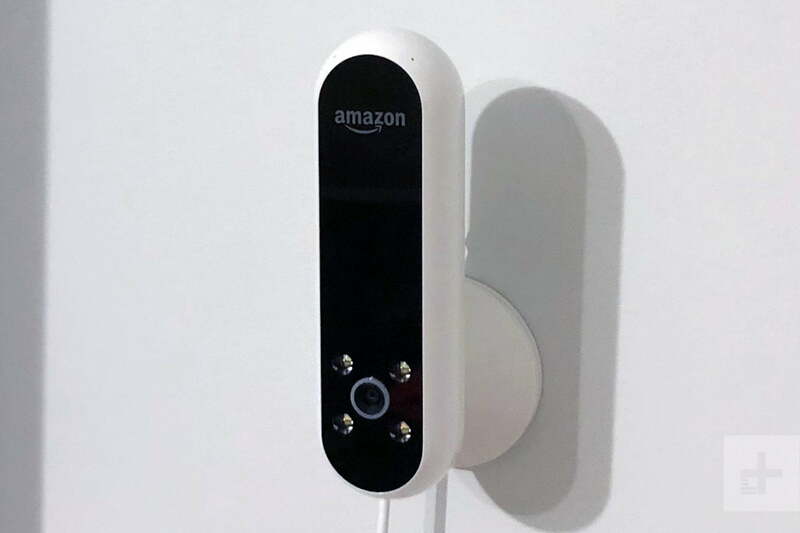 Of course, this isn’t the device’s primary purpose, and there are probably hundreds of cheaper and better home monitoring options available (like the Wyze Cam v2 or the Honeywell Lyric C2), but this perk is an added use for the Look. The Echo Look app has impressive features, but also some functionality issues. It sometimes shuts down randomly, especially after you first open the app or after you take a photo with the Echo Look device. The cloud connections feature is also hit or miss. The style features work well, though, like style check, pairing suggestions, the camera filters, and the collections feature. When you have a device in your home taking pictures, you might have a few security concerns. However, you can shut off the mic by pressing a button on the side of the Echo Look. Also, just like with other Echo devices, you must use a wake word to initiate the device. If you don’t say “Alexa, take photo” or “Alexa, take video,” the device will not take pictures or video. You also have control over what you share on the app. You must submit your photos to use the style suggestions feature, but Amazon won’t use your pictures for pairing suggestions unless you opt in. Even if you do opt in, you can choose which pictures you want to share by sliding a button over on each image under the details tab on each image. All and all, the Echo Look is no less secure than any other Echo device. The Echo Look comes with a one-year limited warranty. You can upgrade to a two-year warranty with accident protection for an additional $25. This is a relatively unique device. The Echo Look boosts confidence because it’s all about the user. You want to get dressed nicely to take photos, create your best Look Book, and send your best photos to style check. The Echo Look is wise pick for someone who loves fashion or for someone who just wants to look their best every day. This is a relatively unique device. No device is going to be exactly like the Echo Look, but you could get some of its features out of other devices. If you only need to organize your closet, there’s an iOS app called Stylebook that will help you digitally organize your closet, and it only costs $4. If you only need a security camera that lets you watch a room from your phone, there are many to choose from. If you just want an Amazon Echo device, you may be better off with a more affordable one, like the Echo Dot. But, if you’re looking for style and virtual assistant that can help organize your closet, help boost confidence, and take amazing pictures and video, then the Echo Look is a wise choice. The device is durable and well-built. 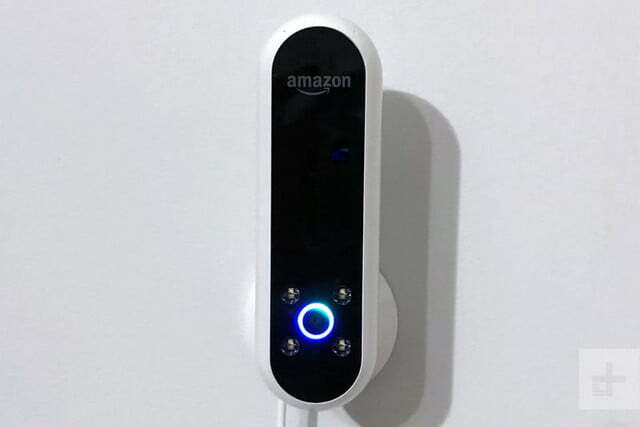 Plus, Amazon says the Echo Look is always getting smarter and adding more features. While it’s mainly a fashion camera right now, it may develop other skills outside of the fashion realm once the community has some time with it. So, if you buy the Echo Look, it may be able to do more and more over time. Yes. You should buy the Echo Look if you like taking selfies, you love clothes and fashion, or if you’re someone who cares about how you look. If the idea of a fashion camera sounds completely silly to you, obviously don’t buy the Echo Look.